“Life off Grid” – distributed through new-comer indie outfit FIGHTING CHANCE FILMS has gained momentum since its theatrical and digital release in February 2016. Showing in cinemas now through crowd sourcing platform TUGG Australia, the film has broken all records for a TUGG documentary screening with over 600 hundred people turning up on the weekend at Events Cinemas Sydney. David Doepel CEO Leap Frog Films and TUGG Australia, continued, “TUGG Australia are thrilled with the way the film is connecting with audiences. We applaud in particular, Rachel Goldlust’s advocacy for a ‘life off grid’ and her tireless campaigning to get people out to experience this film in the cinema”. 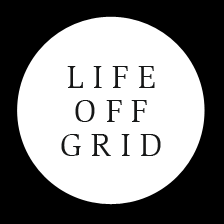 “Life off Grid” is also available on VOD from iTunes & Google play, and SVOD via Stan.